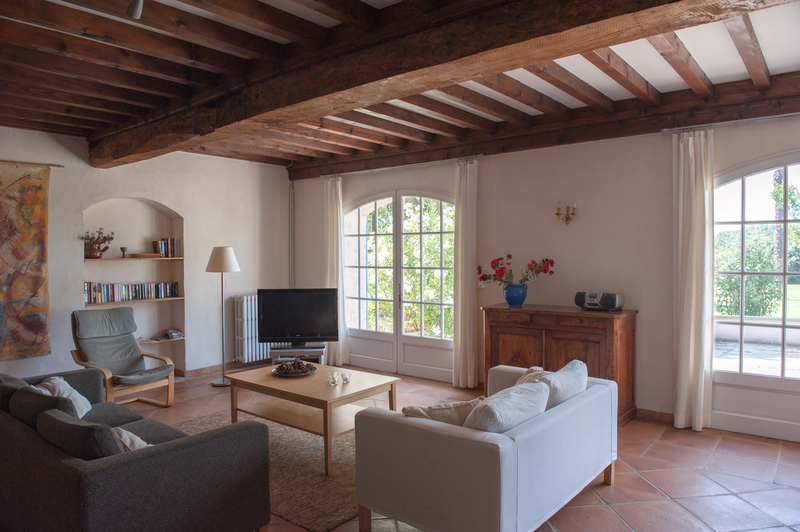 Le Laurier is a beautifully restored former winemaker’s (‘regisseur’) holiday apartment set out on two floors (125 sq. metres). 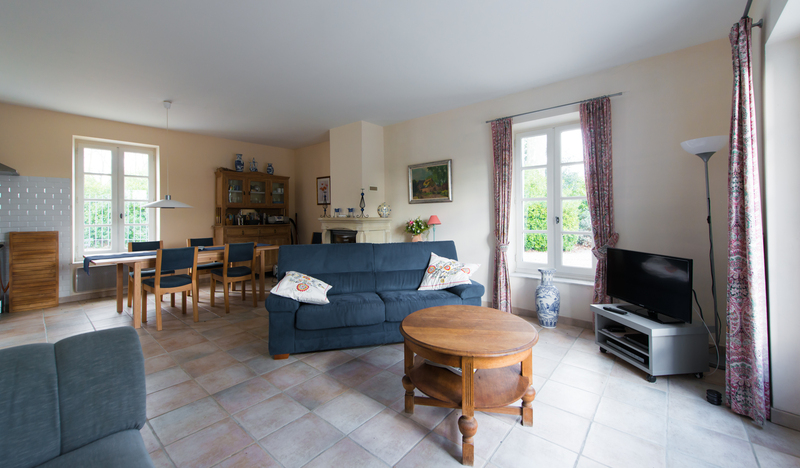 The gite has a fireplace as well as central heating. 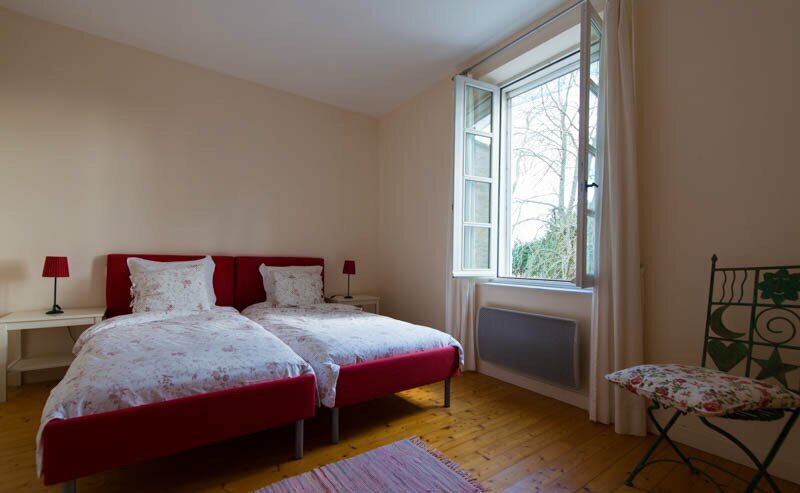 Three bedrooms offer ample space for six people. 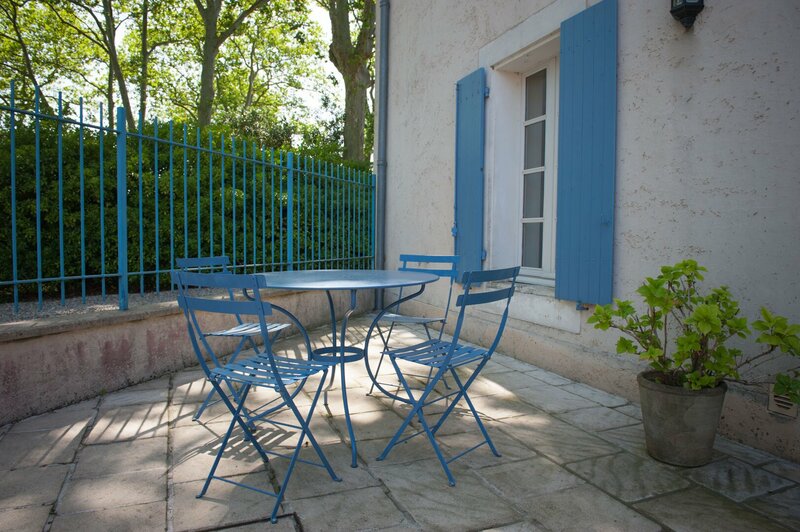 Le Laurier has two private outdoor seating areas, one facing the courtyard (see the photo above) and the other, seen below, is equipped with a Weber barbecue and has a view of the swimming pool with its chestnut tree, sequoia, palms and plane trees in the park. Open living/dining room with fire-place. Satellite TV, DVD player and radio-CD player. 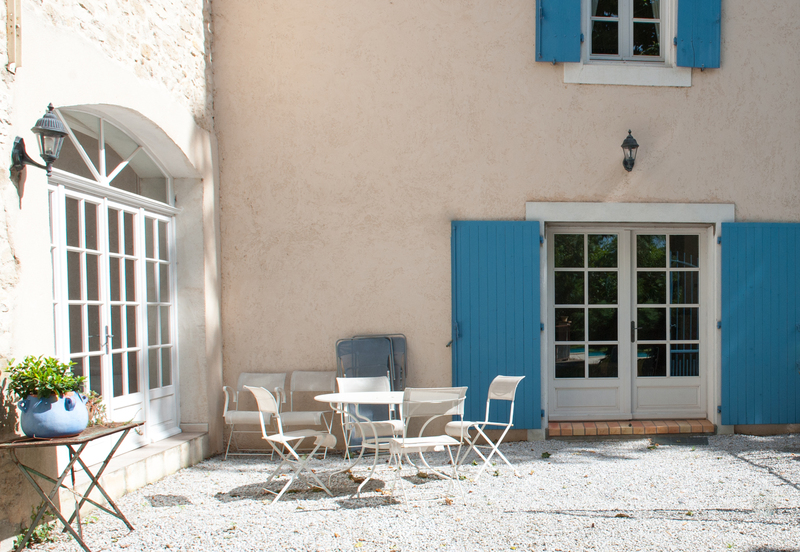 Double French doors lead to the terrace facing south, overlooking the swimming pool. The main door connects to the private terrace inside the courtyard. The rustic dining table comfortably sits 6 to 8 people. The open kitchen features a marvelous blue granite countertop and is fully equipped with dishwasher, microwave, hob, oven, espresso machine and a fridge/freezer. We provide plenty of pots and pans, utensils and spices. 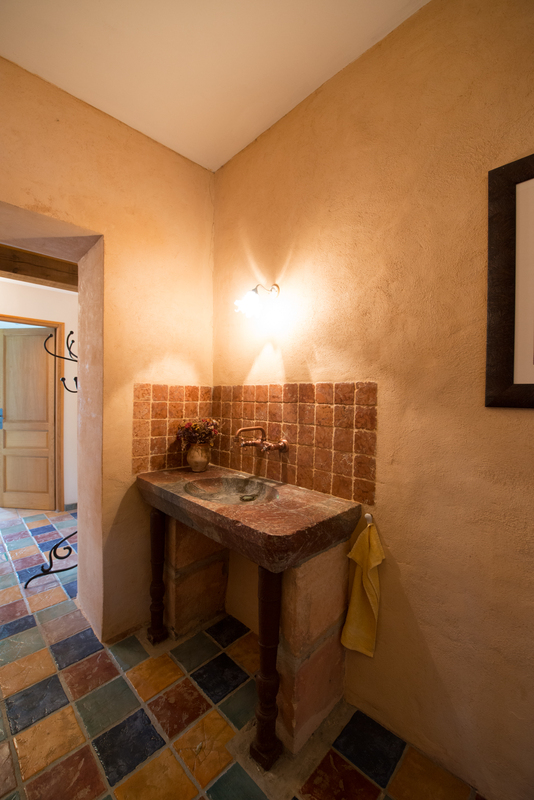 Separate toilet in the hall, nestled under the wooden staircase leading to the first floor. 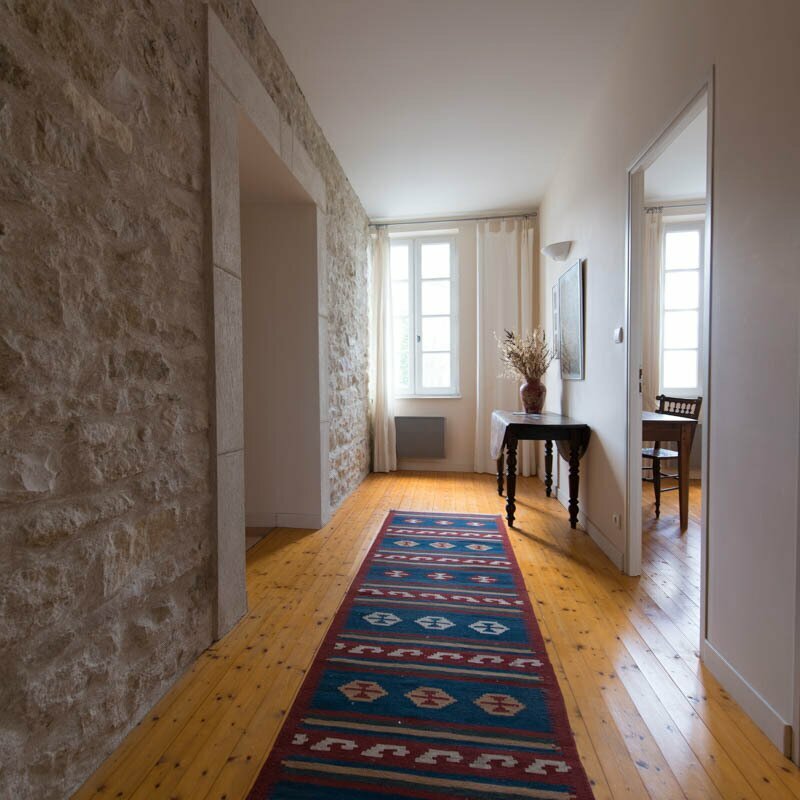 Spacious landing with walls restored in the original way (‘pierres apparantes’). First bedroom (18 sq. metres), south-facing with two single beds and a wardrobe. Second bedroom (18 sq. 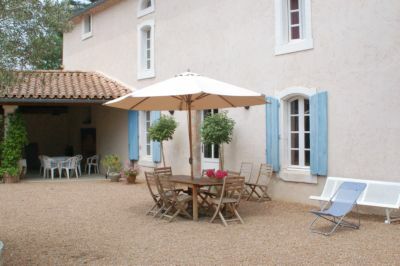 metres), facing the courtyard and the woods, with queen-size bed (160×200), antique writing desk and a wardrobe. Third bedroom (20 sq. 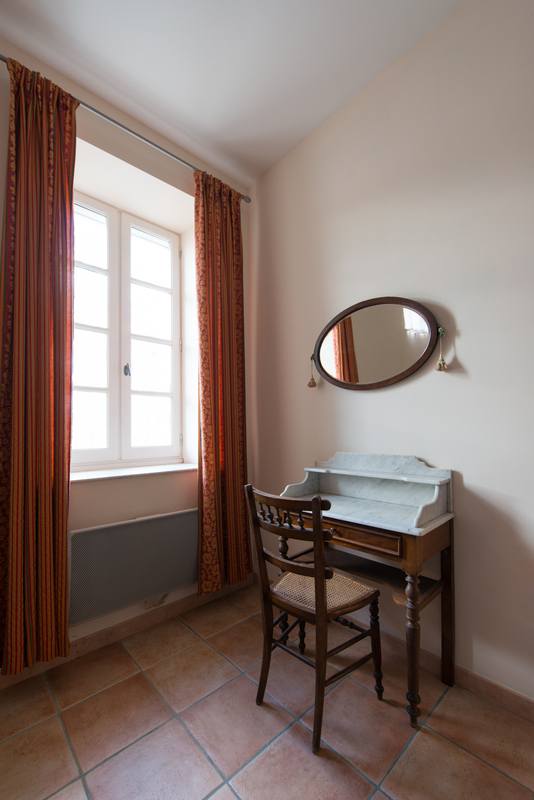 metres), facing the courtyard, with queen-size bed (160×200), antique vanity desk and walk-in closet. 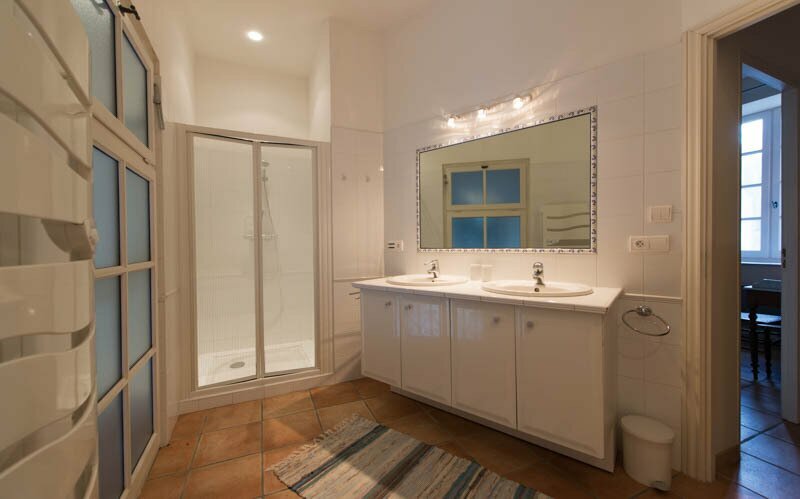 Large modern bathroom with deep bathtub, shower, heated towel rack and double washbasin. 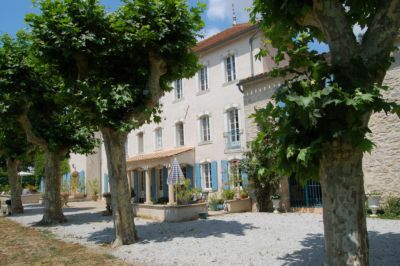 Le Laurier is part of Domaine Le Trabet, a former winery dating back to the 18th century. 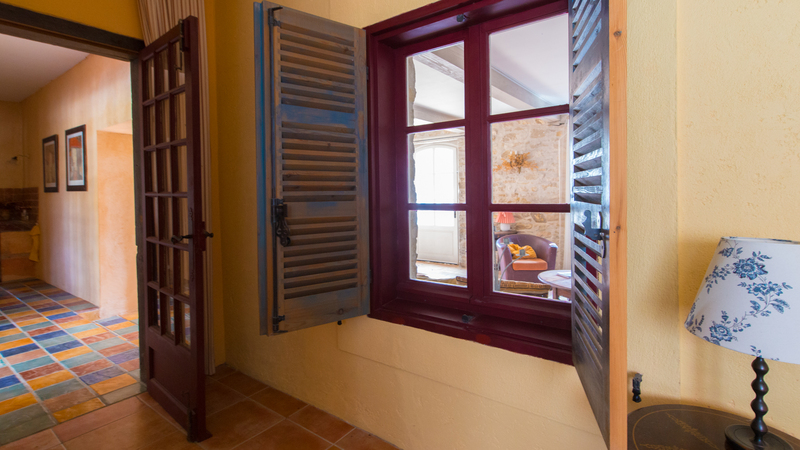 Come and stay with us to enjoy the Mediterranean, the Pyrénées and the wonderful Languedoc-Roussillon region with all of its activities, arts, culture, wines and restaurants.